BORO PARK - The Masbia soup kitchen in Boro Park will operate this Yom Tov in the sukkah of Congregation Shomrei Shabbos, with food provided by the Herzog family. There is no space for building a sukkah at Masbia’s new Boro Park soup kitchen, located at 5402 New Utrecht Avenue, just one block from Shomrei Shabbos at 13th Ave. and 53rd Street. Masbia Executive Director Alexander Rapaport asked Shomrei Shabbos if the soup kitchen can use its sukkah; the shul readily agreed, noting that its communal sukkah is open to the public. 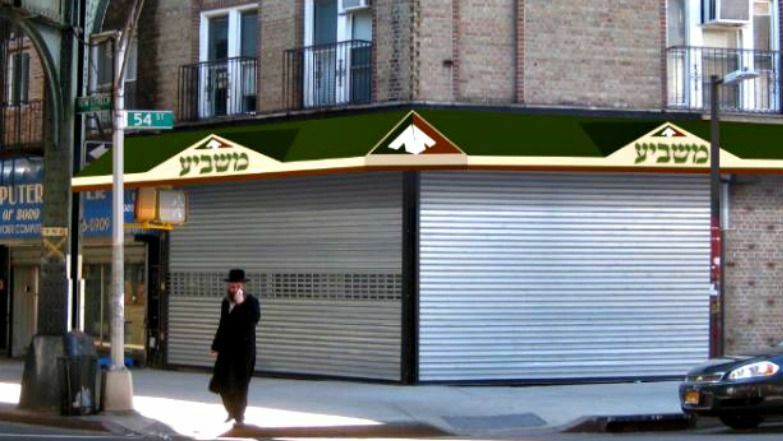 Courtesy of Masbia Soup Kitchen Network: Masbia Soup Kitchen Network’s new Boro Park location, set up for Shabbat. On Friday noon, my kids — who came straight from school — and I began making the rounds to all the local Boro Park shops to prepare for Shabbos meals at Masbia Soup Kitchen Network’s new Boro Park location, where my family and I joined clients for dinner Friday night and lunch on Saturday. We are lucky because our site happens to be right in the center of Boro Park’s “Shabbos District” — if you would allow me to coin the term — right by the 55th Street station of the D train. So we have everything we need at our fingertips. Brooklyn, NY - Seven months after closing the doors of its Borough Park location, Masbia Soup Kitchen is once again open for business serving meals to the hungry, this time at a new location. 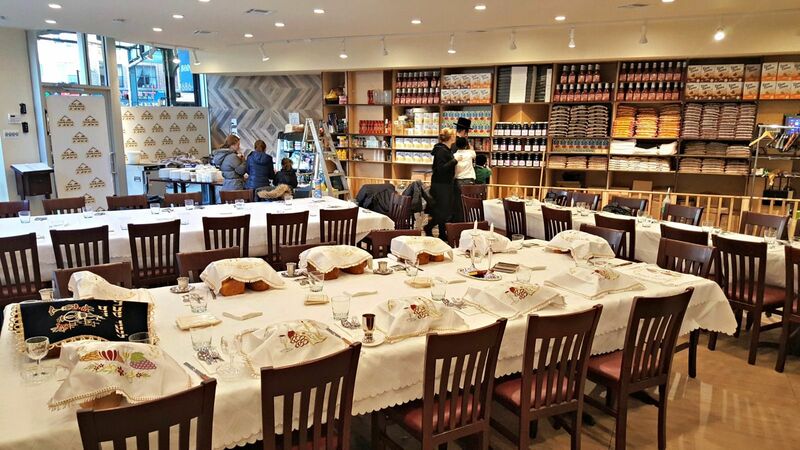 Located right near Borough Park’s Shomrei Shabbos synagogue at the corner of New Utrecht Avenue and 54th Street, the new Masbia location opened for business last Wednesday. Just one day earlier, Masbia’s executive director Alexander Rapaport invited three local rabbis, Rabbi Isaac Tirnauer, rov of the Shomrei Shabbos synagogue, the Kossover Rebbe, Rabbi Shraga Feivish Hager and the Hivnover Rebbe, Rabbi Avraham Friedlander, to the location to hang a mezuza on the door. 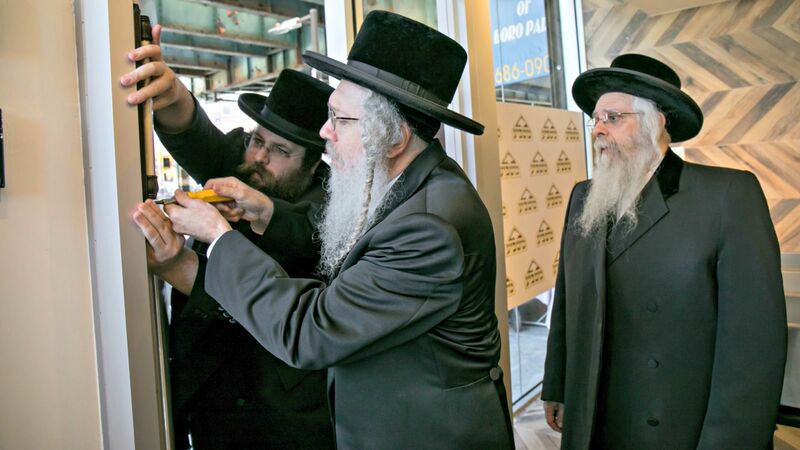 Courtesy of Masbia Soup Kitchen Network: Affixing the mezuzah at the door of the new Boro Park location are Masbia Executive Director Alexander Rapaport (left), Rabbi Isaac Tirnauer of Shomrei Shabbos (center) and Rabbi Abraham Friedlander. The Boro Park branch of Masbia Soup Kitchen Network finally opened its doors Wednesday night, serving a hearty chicken dinner to a handful of hungry clients, after serious financial constraints resulted in delays over the past several months. So it was all the more satisfying for Masbia’s tireless executive director, Alexander Rapaport, when on Tuesday night three prominent Boro Park rabbis affixed a mezuzah at the front door. In attendance were the Hivnov Rov, the Rov of 24-hour synagogue Shomrei Shabbos and the Kosov Rebbe, as well as Rapaport and his father, Yosef Rapaport. Forward: Kosher Soup Kitchen Opening Was ‘Imminent’ — So What Happened? Courtesy of Masbia: The new Boro Park location, at New Utrecht Avenue and 54th Street, has yet to open. Alexander Rapaport and the people who depend on him for food are living on promises. The latest, yet to be delivered, is one of the key factors holding up the opening of his new soup kitchen in Boro Park. In the weeks leading up to the Forth of July, Rapaport, who is Masbia Soup Kitchen Network’s executive director, said the opening of the organization’s new location was imminent. Six weeks later, the site has yet to open and Rapaport finds himself in the middle of a complicated situation. 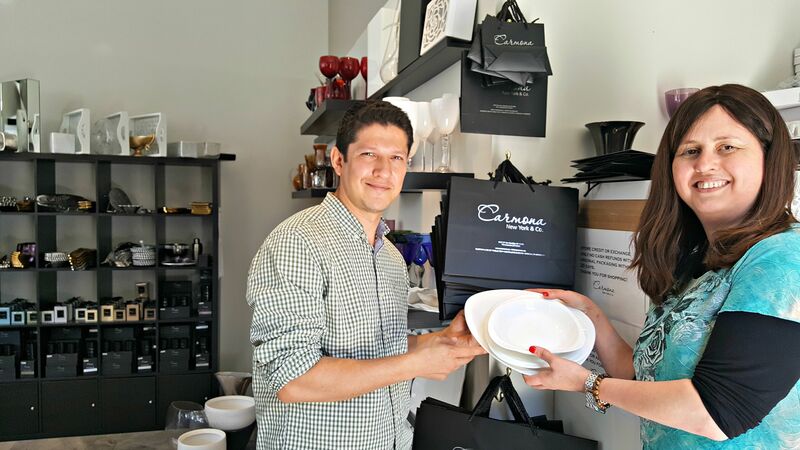 Alexander Rapaport: Masbia chef Ruben Diaz (left) receiving the fine china from Tammy Carmona of Carmona New York. What do Brooklyn’s poorest residents have in common with the guests at Bella and Edward’s wedding in the popular vampire movie The Twilight Saga: Breaking Dawn — Part 1? They could soon find themselves eating off the elegant dinnerware featured at the fictional wedding reception. Masbia Soup Kitchen Network, a project to alleviate hunger among New York’s poor, has been seeking donations of money and kitchen equipment as it prepares to open at a new location in the heavily Orthodox Brooklyn neighborhood of Boro Park. Enter: Tammy Carmona, a party planner and creative whirlwind, who owns a Brooklyn-based tabletop company called Carmona New York. Carmona responded to Masbia’s plea on Facebook for almost 200 items it was still lacking for the new facility. “Talk to me about dishes,” Carmona messaged the group. New facility to feed the needy to be open 7 days a week and will include traditional Sabbath and holiday meals. Brooklyn, NY – June 7, 2016 — Renowned for their kosher soup kitchens that have served millions of meals to the hungry and the needy, Masbia will be reopening in Boro Park, this time with a centrally located facility that will enhance its services in many ways. Situated just one block from the Shomrei Shabbos 24 hour synagogue at 5402 New Utrecht Avenue, the new Masbia facility will continue to fulfill the mission begun by Alexander Rapaport and Mordechai Mandelbaum in 2005, serving nutritious, filling meals with the utmost dignity. Catering largely but not exclusively to the area’s significant Chasidic population, the soup kitchen will be open late hours to accommodate the lifestyle of area residents. Borough Park, now with a centrally located facility enhancing its services. The facility will be located a block from the Shomrei Shabbos 24-hour synagogue at 5402 New Utrecht Avenue and will cater largely but not exclusively to the area’s Chasidic population. “We have found that in the Chassidic community in general and in Boro Park in particular that people struggle with the decision of bringing their family for a meal, often not bringing themselves to it until the desperation peaks, which is usually at bedtime for their kids,” Alexander Rapaport, executive director of Masbia, said in a press release.